Windsor Extra Life – Play Games. 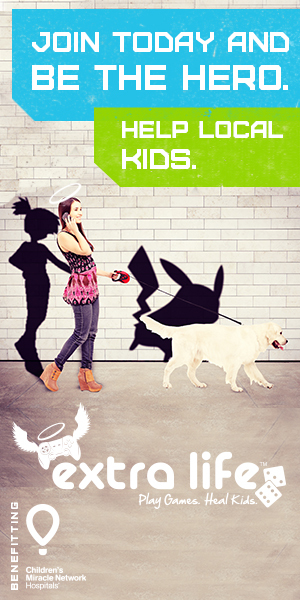 Heal Kids. In Windsor, Ontario. Play Games. Heal Kids. In Windsor, Ontario. We are still in the early planning stages for Extra Life 2019, however, I can tell you that this year’s Extra Life fundraising event will be held at The CG Realm (1311 Tecumseh Rd E., Windsor, Ontario N8W 1B9). Check back here closer to the big day for further details. The goal is to get the gaming community of Windsor out, hanging out together, having fun, playing games, and raising money for a good cause. 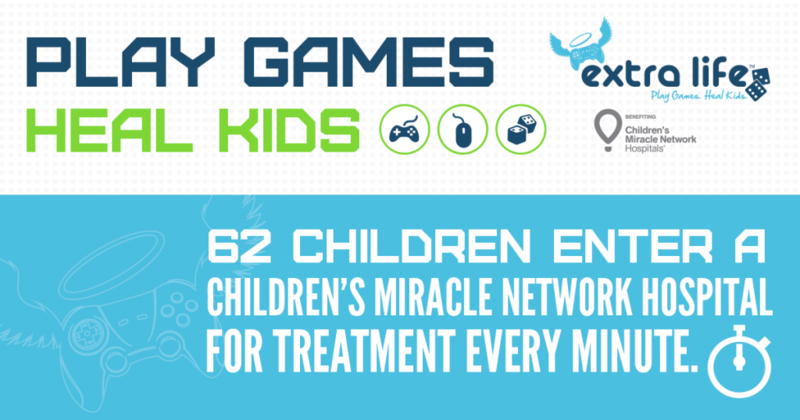 Extra Life is a worldwide charity event where gamers play games for a 24-hour gaming marathon to raise donations for the Children’s Miracle Network Hospitals. It started out as a video game phenomenon and quickly moved over into tabletop RPGs and board games as well (you can read about the history of the event HERE). Here in Windsor, there is a local gaming group called the Windsor Gaming Resource, which is run by Maurice (Moe)Tousignant. Throughout the year Moe promotes tabletop gaming going on around the city and also organizes various public play events (You can find the Windsor Gaming Resource group HERE on Facebook). This will be the 7th year that the Windsor Gaming Resource has hosted an Extra Life event. Over the past five years, we’ve managed to raise over $21000 for the Children’s Miracle Network Hospitals. The idea behind this event is to play games for 24 hours and raise donations (like doing a marathon for charity, only in this case it’s a gaming marathon). Some people chose to split that time up, some do it all in one crazy 24 hour go. We have a Windsor Gaming Resource Extra Life team. Each member of that team raises donations, and each member chooses what hospital they would like their donations to go towards. As in past years, our team members will be supporting the London Children’s Hospital and Sick Kids Toronto. This is our team page on the Extra Life site. We encourage gamers to join our team, collect donations, and come out and play games for 24 hours.Or, another way to support this event is by going to our team page and giving a donation to one of our team members. (If you donate $20 or more you will receive a charity receipt). This year’s event will take place at The CG Realm (1311 Tecumseh Rd E.) on Saturday Nov. 2nd and Sunday Nov. 3rd.